What a Venue.Unique Moments Photography of Gig Harbor WA captured this wedding in September 2015. Filigree Farms is simply Awesome.It has a tent for the reception, or rain, and the area that the bride gets ready in is super cute. There is also an open field beside the tent that works well for portraits and if mother nature is cooperating, Mt. Rainer is visible from several areas close to the venue. Filigree is one of those Cant Miss venues and we look forward to going back. The owners are Top notch, extremely helpful, and accommodating. It is by far the Best outdoor venue that we have seen close to Tacoma. 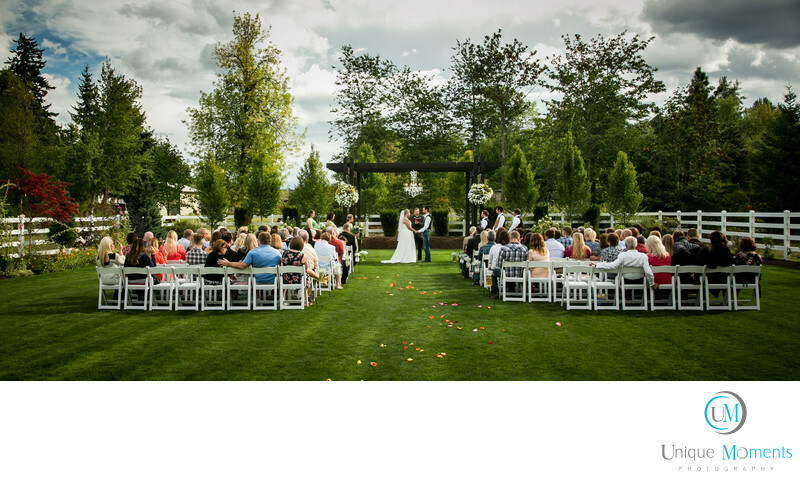 Highly recommend if you are looking for an outdoor venue for your wedding. Location: 9407 234th Ave E. Buckley, WA 98321.